Jesus and the apostles repeatedly warned that the last days would be characterized by widespread deception and a multitude of false prophets (Matt.24:3-5,11,24; 1 Tim.4:1) - and we have seen plenty of them in the last few decades. 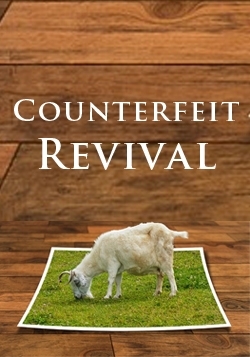 Why are millions of Christians deceived by these false prophets and these counterfeit "revivals"? And why are so many preachers falling prey to immorality and greed? 1. Most Christians today are not aware of what the New Testament teaches, because they have not studied it carefully; and so they follow the teachings of their leaders and not the teachings of the New Testament. 2. Miracles (supernatural gifts) have become more important to them than their character (a supernatural life). 3. Material wealth has become more important to them than spiritual wealth. 4. They are unable to distinguish between soulish frenzy or psychological manipulation, and the genuine moving of the Holy Spirit; the cause again is ignorance of the New Testament. 5. They are unable to distinguish between psychosomatic healing (healing that comes by right attitudes of the mind), and supernatural healing in Jesus' Name. 6. Emotional excitement and strange physical manifestations have become more important to them than the inward joy of the Lord. 7. For the leaders, their ministry to people has become more important than their inner walk with God. 8. The approval of men has become more important to these leaders than the approval of God. 9. The number of people attending the meetings has become more important to these leaders than whether those people are totally committed to Christ. 10. Building their personal kingdoms and their financial empires has become more important to these leaders than building a local church and making themselves servants in that local church (Jeremiah 6:13). All this is the VERY OPPOSITE of what Jesus taught. The opposite of Christ is called the "anti-Christ" in the New Testament. If Christians do not see this clearly, then when the Antichrist turns up on the world's stage, with his false signs and wonders (2 Thess.2:3-10), they too will blindly accept him. To be led by the Spirit of Christ is to have the very opposite spirit to that mentioned in the points above. "Both the gate and the way to ETERNAL LIFE are very narrow - as I have just described (Matt. 5 to 7). But false prophets will come along and tell you that the gate and way are not narrow but easy and broad. Beware of them. You will be able to identify them easily by observing the fruit of their character: Do they live a life free from anger, free from lusting after women, free from the love of money and free from anxiously seeking after material wealth (as worldly people seek)? Do they preach against these things as I have done here? (Matt.5:21-32 and 6:24-34). These false prophets may exercise many supernatural gifts and do miracles and actually heal people in My Name, but I will still send them all to hell in the final day, because they did not know Me (as THE HOLY ONE) and they did not give up sin in their private lives (Matt.7:21-23). So if you want to build a church on a rock that will never shake or fall in time or eternity, be careful to do all that I have just spoken to you (Matt. 5 to 7) and teach your people to do all that I have commanded you too. Then I will be with you always and My authority will always back you (Matt.28:20, 18). But if you only hear what I say and don't do it, then what you build may look like a large and impressive church to men, but it will surely crumble and fall one day (Matt.7:25)." How then shall we build an unshakeable church in these last days? 1. We must live the sermon on the mount (Matthew 5 to 7) and preach it constantly. 2. We must live in the new-covenant and not in the old-covenant. For this, we must know the difference between the two covenants clearly (2 Cor.3:6). We must also preach the new covenant. When preachers fall into serious sin today, they justify themselves by (and find their comfort in) the examples of Old Testament saints who also fell into sin. And then they re-commence their ministry after a period of silence. They quote the examples of David who committed adultery, and Elijah who got depressed, and they say "But God still used them"! But they won't quote the example of Paul who lived in victory and purity until the end of his life. What these preachers (and most Christians) have not seen is that the Old Testament saints are NOT our examples today. We have been given much more in this age of grace - and "to whom more is given, more is required" (Luke 12:48). Jesus is the Mediator of a NEW covenant and HE is our Example and the Author of our faith today - not David or Elijah. The distinction between the Old Testament saints (listed in Hebrews 11) and Jesus, is made very clear in Hebrews 12:1-4. But very few live in the reality of this. Very few have seen that "God has provided something BETTER for us" in the new covenant (Heb.11:40). Any of us can fall in the way that many preachers have fallen, if we are not watchful and alert - for Satan is a cunning enemy. Our safety lies in obeying New Testament teaching exactly and in submitting to godly leadership. (And by "godly" leadership, I mean those who do not have even one of the wrong values listed in the ten points I mentioned earlier). If we learn from the mistakes of others, we can avoid making the same mistakes ourselves. So let us keep our faces in the dust before the Lord at all times - for it is there that we will receive Divine revelation, as John did (Rev.1:17). If we humble ourselves, we will receive grace to be overcomers (1 Pet.5:5). And when the Holy Spirit shows us the truth in God's Word and the truth about ourselves, let us be totally honest and "love the truth, so as to be saved" from all sin. That way we will be protected by God Himself from all deception (2 Thess. 2:10,11). Amen.